Jaipur leads the Indian traditions and culture. There are numerous colours of the city that one can see and enjoy. It is a city of religious people who believe in and loves to celebrate all the festivals. Ganesh Chaturthi is a popular festival here; especially in Jaipur, the event evokes a distinct flavour. As Ganesh Chaturthi is approaching, sounds of celebrations and festivities are clearly reaching our ears. 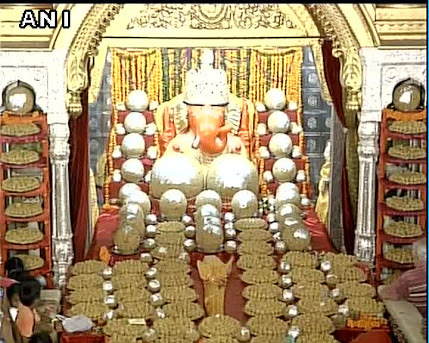 Enthused in the celebrations of the birth of Lord Ganesha, people all around are conducting events and praying day and night. Ganesh Chaturthi in Jaipur is celebrated in an amazing manner. The day before Ganesh Chaturthi locally called ‘Sinjaara’ is none less than the main festival day. Tons of Mehendi is offered to the Lord amid holy chants in Garh Ganesh, Moti Dungri, Neher ke Ganeshji, Lal Dungri Ganesh Ji and many other small or big Ganesha Temple. Ganesh chairs on a silver throne wear new dress and accessories. The special prayer is held. 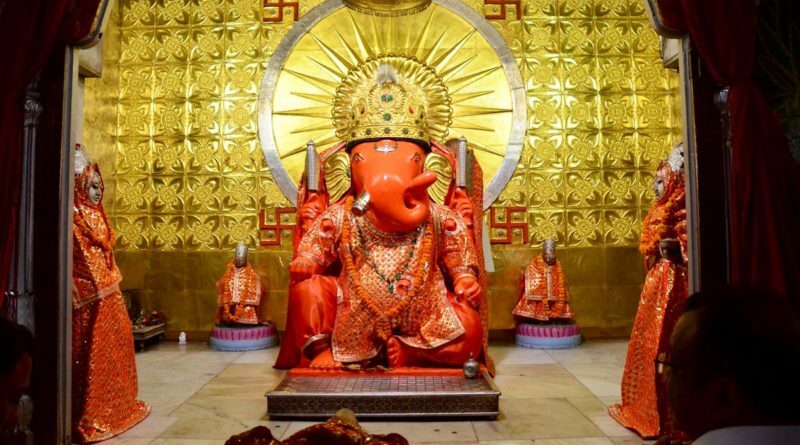 Throughout these ten devotional days of Ganesh Chaturthi, Jaipurites chant ‘Ganapati Bappa Morya, Morya Re and makes this felicitous day look more electrifying by including lively and enthusiastic yet dedicated songs, dances and drum beats which are predominantly the part of processions featuring breathtaking idols of this lord of success. The most popular temple is at Moti Dungri or ‘Pearl Hill’ in Jaipur. This beautiful temple in Jaipur is visited by many Lord Ganesh devotees. The love for God is seen in the gestures of the visitors. The festival is celebrated for 10 days. The celebrations begin with bringing Lord Ganesha to home. Ganesh Chaturthi probably is the only festival in Jaipur which celebrated for 10 days. In Hindu mythology, Lord Ganesha is very important as no work is considered to be flourishing without his blessings, This idol is carried with a herd of people, dancing on lively music beats. The idol is placed in a person’s home or a public place for 10 days. Every day people come and bow to Lord Ganesha and ask him to bestow good luck on him/her. On the next day of Ganesh Chaturthi, an auspicious rally is organized every year. According to Hindu scriptures, Lord Ganesh was born on Chaturth Tithi (4th day) of Shukla Paksha in Bhadrpad month. Due to the birth tithi of Lord Ganesh, the festival is named Ganesh Chaturthi. ← Malji Ka Kamra(Churu); As Experiential Heritage Haveli!